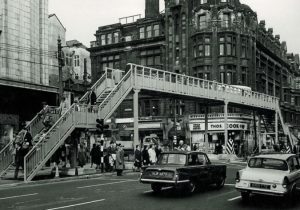 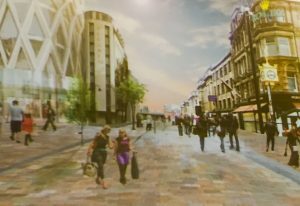 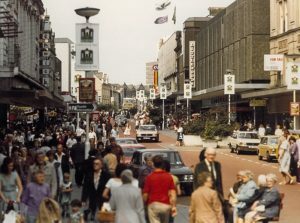 Newcastle City Futures have teamed up with NE1, Newcastle City Council as well a number of companies to develop a design to transform Northumberland Street. 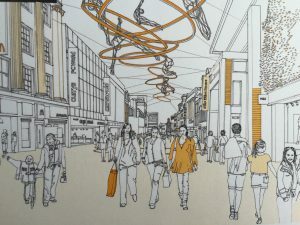 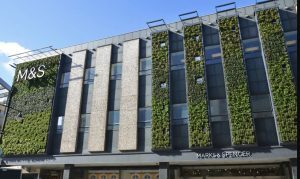 The aim is to create opportunities to redesign the high street using digital retailing that links customers to businesses and to green the street based on the latest thinking on blue-green infrastructure that invites shoppers to enjoy the area and to act as sustainable urban drainage when it rains. 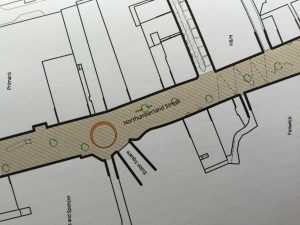 A Northumberland Street Advisory Group was established by Newcastle City Council in 2016.